Without a native Events module, we thought of an innovative solution to maintaining an events registration system within the platform. Our Questionnaire module works well as a form to confirm attendance to an event by requiring members to submit their response to be counted as registered to an event. Attendance can be quickly analyzed in Admin and exported as a list so you can check members in at the event. 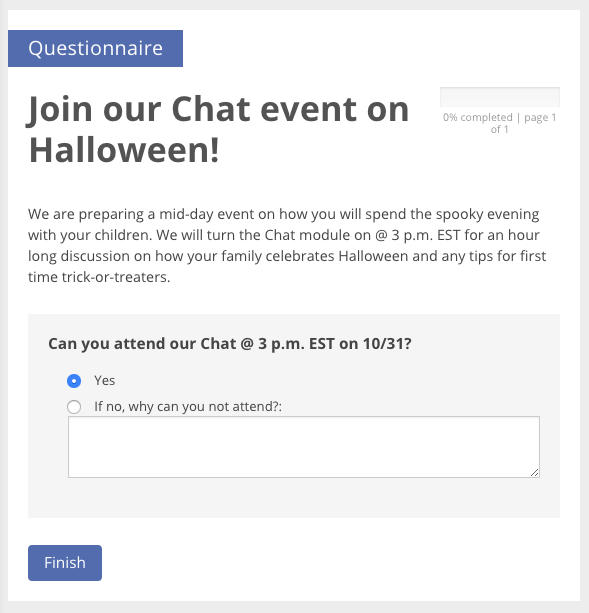 Setting up an events questionnaire will allow any member to choose to register to an event when linked in a Forum, Blog, or News post or by seeing the active events in the Questionnaire overview. 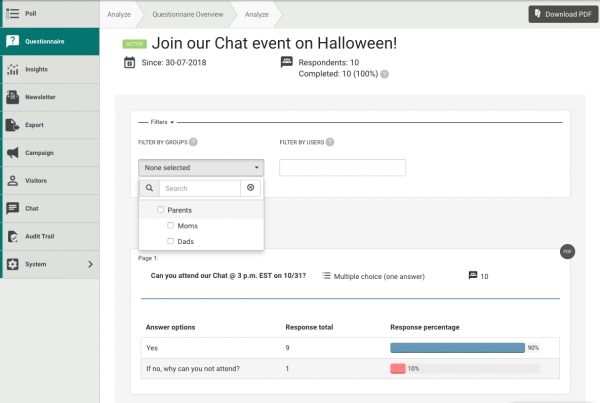 Questionnaires can be segmented by user group, so you can make these location or demographic specific events, which only those user group members will see. The only limitation is for ticketed events. If the event is ticketed, be sure to link to where members can register within the post or questionnaire for the event.